All was not well, though. 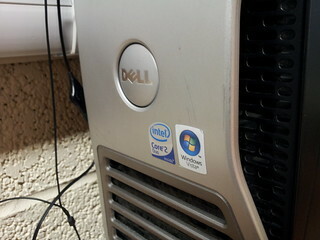 Even though it came with no operating system it still featured the horrid “Designed for Windows Vista” sticker on its pretty front. 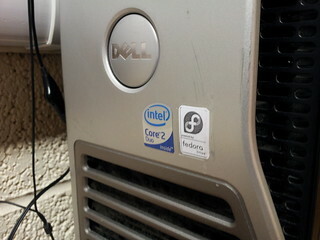 No more, though – it has been replaced with a “Powered by Fedora Linux” one! Installed Fedora 21 with the latest GNOME and it is running very smoothly (even with only 2 GB of RAM – 4 more on the way!). 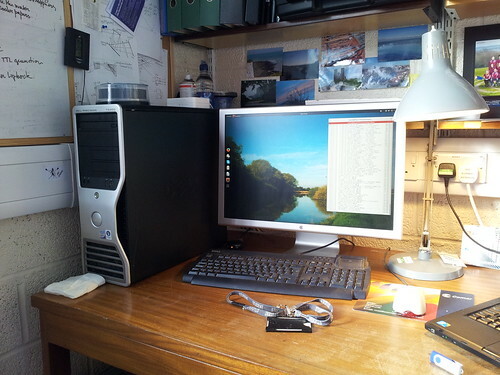 One of the major grudges I was having was related to connecting to Windows shares on the network (both the central School’s server and other workstations on the network) – the latest version actually works properly! I can see all the file servers directly from Nautilus, and the whole experience seems a lot more enjoyable, now. After getting my new “old” monitor I am now running my ThinkPad with the lid closed off its docking station, much to the dismay of my grandad who cannot “see” me now. I then went to get the cheapest webcam that I could find which would be Linux-compatible (and stress-free). The Jazooli had reviews on Amazon with people successfully running it on Ubuntu with apparently no big dramas, plus it was only £1.99 (+£1.99 P&P 🙂 ), so I went for it. It features not just the camera itself, but a built-in microphone (great since the inbuilt mic of my laptop is on the screen bezel and, as mentioned, the lid is closed..) and 6 LEDs whose brightness you can control through a little knob – for those occasions where you are working in semi-darkness and can’t be bothered to turn a light on if someone calls you on Skype! It arrived relatively quickly (although I feel that things off eBay with free delivery tend to arrive sooner than the ones from Amazon, even the ones specifically fulfilled by them! ), and I immediately set it up on top of my monitor (it has a hook in its base which secures the camera in place, quite a clever design, and it can also be used with a laptop screen!). Plugged it and fired up Cheese to test it – perfect, although its claims of 16 MP are grossly exaggerated – this is a VGA (300k-pixels) sensor, and it can only do VGA at 15 fps anyway, which caused some issues with Cheese. Lowering it to 320×240 seemed to do the trick. I started having trouble when I fired up Skype and started a video call to test it – Skype was pulling the default configuration and assuming the maximum resolution of the camera, which obviously wasn’t going to happen, and as expected the video feed froze and crashed. I fired up Skype again and hoped for the best. Nope, it was still happily pushing the video feed at full resolution and obviously crashing. Moreover, with Google Hangouts I had exactly the same issue, which led me to think that maybe this was something transversal to all of these programs (but Cheese). After doing a bit of research and installing some Video4Linux configuration/testing software, I did what normally solves 99% of the problems I have when running a 64-bit Linux system – symlink libraries, in this case v4l1compat.so, which existed under /usr/lib/libv4l but not under /usr/lib64/libv4l. And that seemed to do the trick – both Skype and Hangouts now work perfectly with no frozen video. And to top it off, this camera behaves much better than the ThinkPad’s integrated one, both in terms of white balance (I no longer look like I have liver disease, the other camera made me look so yellow!) and low-light performance (the camera would just shut itself off if the light level was below a certain threshold!). Hello there, and welcome to my personal web page/blog! 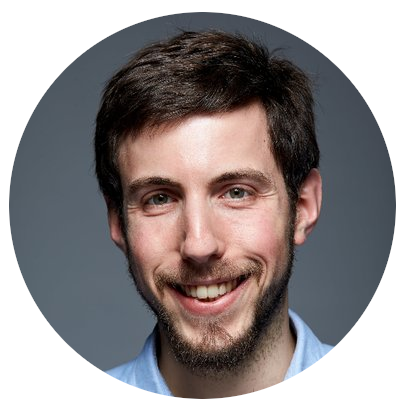 My name is Manuel Marques, and I’m a post-doctoral researcher at the Applied Optics Group in the University of Kent (United Kingdom). My work lies mostly in the area of Applied Optics, namely white light interferometry and its two/three-dimensional variant, optical coherence tomography. Outside work I'm a keen runner/sculler/rower/cyclist, and I do enjoy being in the outdoors (photographing them is a bonus, too!). Other hobbies include tinkering with things, both big and small (not always with a positive outcome, I must say), travelling, reading, in no specific order.